Shearstud is the leading supplier of stud welding products, stud welding equipment and special fasteners. 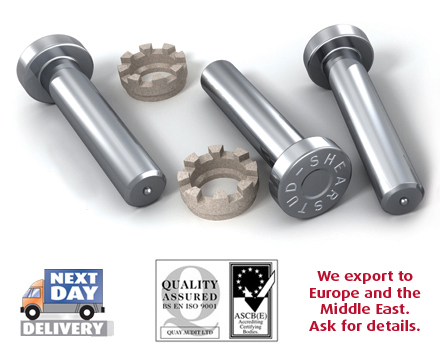 We can provide you with exactly the high quality studs you need, and all our products are quality assured to BS EN ISO 13918 and BS 5400. We hold a large stock in the UK, in a range of sizes. Standard popular studs are held in stock, ensuring 24hr delivery.